Our hand-crafted puzzles combine the beauty of artistic images with the challenge of traditional wooden jigsaw puzzles. Your custom image will first be made into a Fine Art Giclée print. We print on acid-free Exhibition Canvas using our 10-color ink printer, utilizing pigment-based archival inks, and then apply a museum-quality luster varnish. Finally, we transform your Giclée print into a precision-cut jigsaw puzzle for you, your family, and friends to enjoy! We have been making exquisite wooden jigsaw puzzles since 1986. 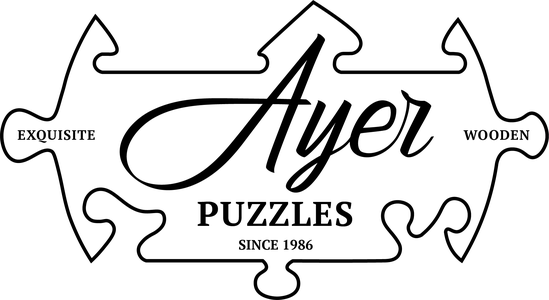 Please explore our site to learn more about us or to request a Custom Puzzle.